Nature loves to surprise you. This is a follow-up to another world. What can you see? 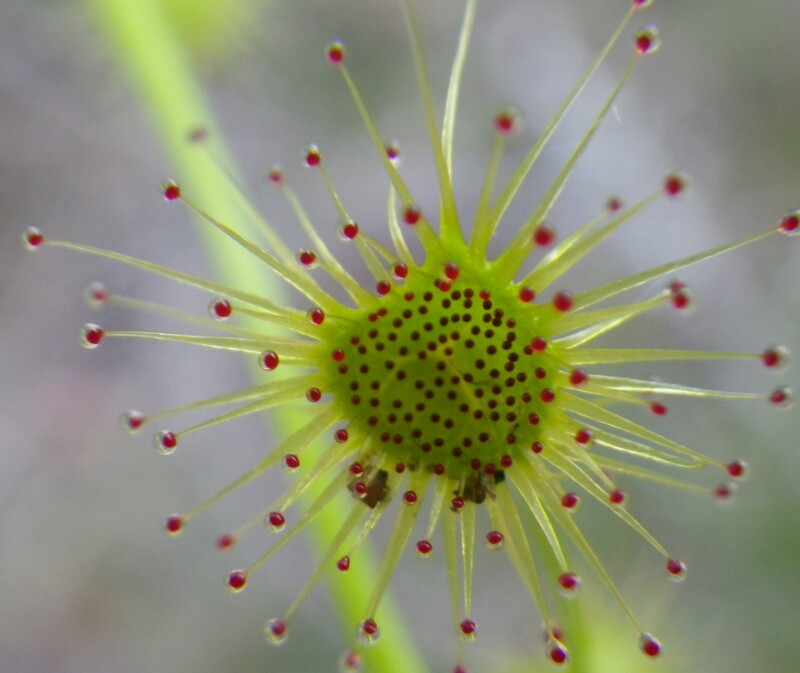 Let me introduce you to Drosera macrantha (a carnivorous plant). Those little red blobs are actually sticky leaves that trap unsuspecting insects! It looks like a kiwi smashed into a dragonfruit! Awesome.